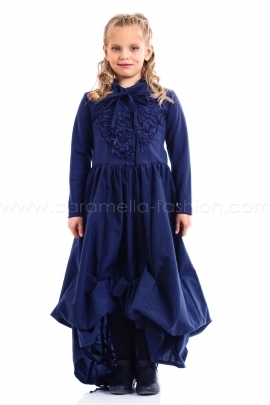 Royal blue long sleeve bow neck maxi dress- Tie neck bow detail - Fabric heart embellishment - Cotton top- Nylon flared drawstring skirt Washing Instructions: Delicate Program recommended Composition: Cotton 95%, Elastane 5%The price of sizes for 11 and 12 years old girls is increased by 20%. Grey knee length loose print dress- 3/4 Sleeves - Round neckline- Front print Washing instructions: Delicate Program recommended Composition: Cotton 95%, Elastane 5%Women's dress here The price of sizes for 11 and 12 years old girls is increased by 20%. 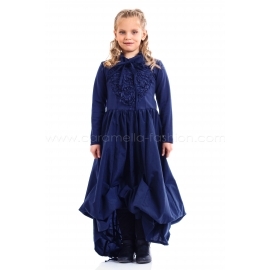 Red asymmetric balloon long dress- Round neckline - Sleeveless - Puff skirt Washing instructions: Delicate Program recommended Composition: Cotton 100% The price of sizes for 11 and 12 years old girls is increased by 20%. Floral print knee length dress- Sleeveless - Round neckline - White pleated skirt with floral trim Washing instructions: Delicate Program recommended Composition: 80% polyester, 20% cotton The price of sizes for 11 and 12 years old girls is increased by 20%. Grey front printed knee length loose dress- 3/4 Sleeves - Round neckline - Side drape Washing instructions: Delicate Program recommended Composition: 95% cotton, 5% polyester The price of sizes for 11 and 12 years old girls is increased by 20%. Red sport loose print dress -Front print -3/4 sleeves -Boat neckline -Side pockets -Cotton Punto Milano Washing instructions: Delicate Program recommendedComposition : Cotton 80%, Elastane 20%ATTENTION!The price of sizes for 11 and 12 years old girls is increased by 20%. 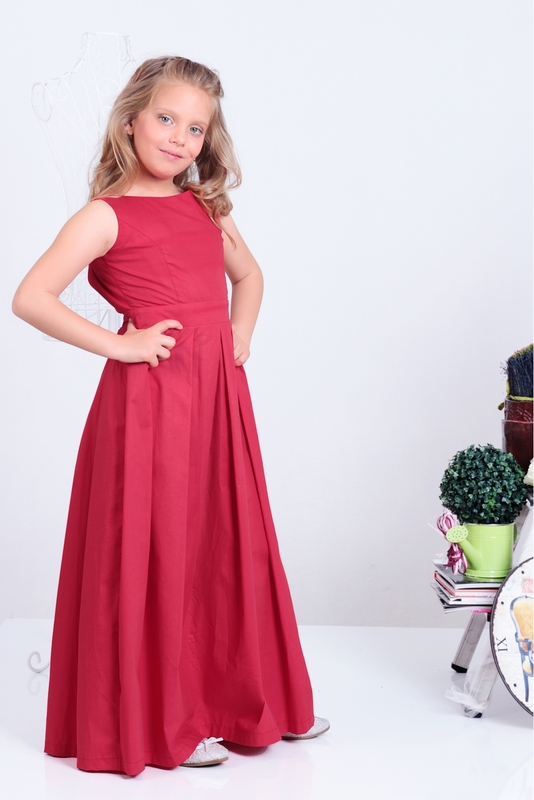 Red back heart cut maxi dress- Boat neckline - sleeveless - Pleated skirt Washing instructions: Delicate Program recommended Composition: 100% cotton The price of sizes for 11 and 12 years old girls is increased by 20%.